The psychology of the human, or is it the human psychology? I don’t know, but one thing is for sure, it is a funny old thing. Bit like football. 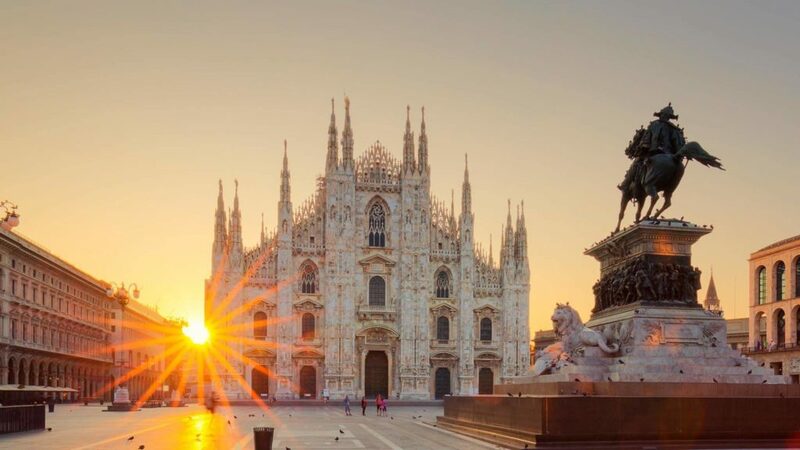 I have just scanned down the list of the remaining 720 sides left in the Europa, and Milan are, by some considerable margin, what we would call the historically ‘biggest’ named team remaining. 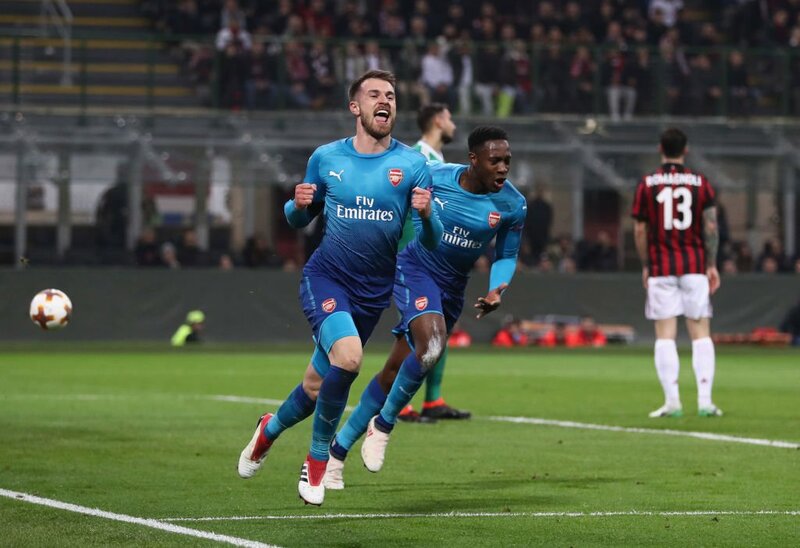 Of course they are nowhere near the Milan of old, but an away win in their home town at the legendary San Siro must feed the psychology of the Arsenal footballer a huge dose of positive vibrations. Those select, nay elite, few of us who actually managed to watch the entire second half unaided, may have missed the two goals that knocked the stuffing out of the Italians, I wouldn’t know, but not only will our players take confidence into the second leg but into the rest of the competition. I’m sure we’d all rate Atletico as the biggest threat, but come on, beating them is certainly not beyond us, and I believe our chances would be improved by meeting them in a one off game like the final as opposed to an earlier round two-legger. Ok, the game itself. For previously mentioned reasons, I might not be best placed with the detail, in any case, I don’t like detail so I’m very much in my comfy zone here. The team pretty much picks itself which is a real positive. I’ve mentioned before on the blog how I think Granit is a fine player, just not best suited to our own team’s needs in the more frantic English League, however he looked way more comfortable on a pitch with our continental neighbours. You may think it strange that I pick out this particular individual, but this defensive midfield spot is our Achilles heel in the league. Not sure how serious The Beast’s injury is, but M-N looked absolutely superb. Confident, composed and very very capable. That’s it. Me done. Over to you Arsene. Rest the whole lot against Watford I say. But is Wojciech off the naughty step at Arsenal? I like TPIG, he has presence, he has character, he works hard and in my opinion can become an excellent GK but does Mr Wenger agree? The signing of Cech indicates a No, though in my opinion the Cech transfer was a no brainer – the man is fantastic. However, this leaves us with 3 very good GK’s all of whom are looking for first team action, if TPIG returns what of Ospina? All 3 are under contract so it is AW’s decision. Rumours are that Ospina is unhappy playing second fiddle to Cech and TPIG will be even more dissatisfied returning to a club where he has been demoted from No.1 to not even a bench seat. Should Ospina leave would TPIG settle for a few games in the Cups? It seems unlikely. Thankfully this is a luxury problem – long gone are the days of Almunia. Arsenal own his contract so if we want Szczesny to return then he will. Roma have said they would like him to stay. The media are reporting that Klopp wants him at Liverpool. Is it Cech Mate against The Pole in Goal? It is with a heavy heart today that I delve into the defensive side of our game. The Goal Keeper. The blog world is alive with stories of the imminent arrival of Petr Cech for an apparent £14M. Sz had an absolute stinker against Southampton for sure. Maybe he was hungover from New Year’s celebrations. The game was on January 1st after all. Who knows. Then, of all times, he chose post match to have a fag in the shower when he was already in the dog house. Got demoted to Cup Keeper, and in came Ospina as No 1. Thing is Arsene played Szczesny in the final. You can read that as a “thanks and goodbye” or Arsene effectively re-instating him as No1 (it’s not true AW always sticks with the Cup Keeper in the final). Either way you read that choice, a fairly substantial level of forgiveness had to be in the air. My personal thoughts are that Szczesny still has everything to be a top keeper. He needs to grow up fast. To my mind, there are strong similarities between him and Nic Bendtner in terms of a casual professional attitude, but that is very much my own guesswork. Even top keepers make mistakes, and take away the shocker of the Southampton game, and I think our Pole had a very good season. Would Cech coming in help, or hinder (he’ll want first team football) our own current keepers, and more importantly, the overall strength of the defence? Arsenal’s best keeper for next season is ………. Apparently David Ospina has the highest win ratio (92%) in Premier league history after 11 wins from 12 games played. Obviously this is a meaningless statistic since when he came into the side other factors will have influenced our current run of 8 games unbeaten in the EPL – not least the emergence of Le Coq as the midfield enforcer we always wanted. But I have to say that I am mightily impressed with Ooooospinnnaaaaa (that makes me laugh every time I hear the crowd sing it 😀 ). For a guy who is 5-6 inches shorter than the likes of Courtois and De Gea, he certainly makes the most of his attributes. As our resident GK expert GiE has observed, it is Ospina’s calmness and the timing of when to come out for the ball that make him a better keeper than Szczesny at this particular time. I have heard us being seriously linked to Petr Cech recently as he has been consigned to the bench by the emergence of Courtois. Now Cech is a good keeper and a very decent man – but is he a better keeper than Ospina? Moreover, we are second in the table to Chelsea, why would we want to enlist their second choice keeper if we aspire to be better than them? It makes no sense. What also makes no sense to me is why we didn’t go for Lloris a couple of years ago. I can only assume Arsene had hoped that Szczesny would iron out some of the rough edges to his game. So the question I ask is, who would you like to see between the posts for Arsenal next season? Many regular readers of this blog will know that I have never been a great fan of my compatriot Wojciech Szczesny. There were many reasons for my disapproval of him, but most were based on the knowledge of his father’s career – average keeper, arrogant and mouthy. From the start Wojciech reminded me of his Dad. But I am a fair person and decided to give him a chance and it seemed he rewarded me for that. Since replacing Fabianski in goal, he has grown from strength to strength and most fellow Gunners were delighted with his performances. Exactly 4 years ago he became our new No 1. Since then we have witnessed a true rollercoaster of a career, culminating in his disastrous performance against Southampton earlier this month. Rumours followed that Wenger had dropped him there and then as our first choice keeper and that was confirmed by Ospina’s appearance in the next few fixtures while Szczesny returned in the FA Cup. As we know Wenger always plays number 2 keeper in FA games. Do we have a permanent new No 1 or will Szczesny return to reclaim his place? And most importantly – do we want him to return? 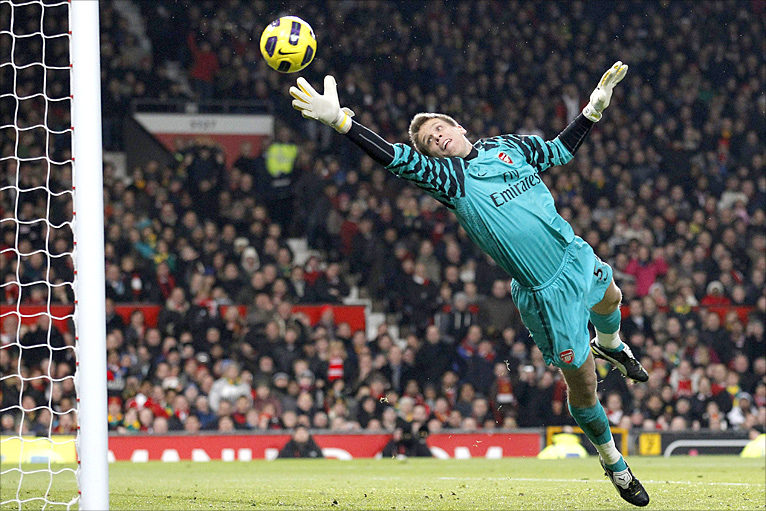 The media and the fans have varied views on Szczesny’s career. It has almost become a norm that after a few good games he fails completely – stupid mistakes, lack of concentration, wrong decision or even a red card. Other players cannot possibly feel safe in front of a goalie with such a poor level of consistency. Some claim that he is suffering from the same virus that made van Persie and Cesc move to clubs where they have better chances to achieve full potential and win trophies (more money). Others argue that Wojtek is an average keeper and will never be world class. He still makes the same errors as he did 4 years ago and his personality will always get in the way of true progress. Psychological profiling is nowadays a part of the modern selection process for all top professionals, including footballers and I am sure that Szczesny must have been assessed too. I therefore wonder if his temperament has been ignored or deemed as no issue. Or did Szczesny became nervous after joining the Arsenal? By the same token we can discuss our previous number one, Lukasz Fabianski nicknamed ‘Flappy Hands Fabianski’. Lukasz seldom appeared cool, calm and collected while at the Emirates. Yet he seems to be doing well at Swansea. Szczesny’s last EPL appearance was a complete disaster. His performance was below par and he cost us valuable 3 points. His body language after the game and failure to even look at the defenders were a sure sign that he knew he let us down. 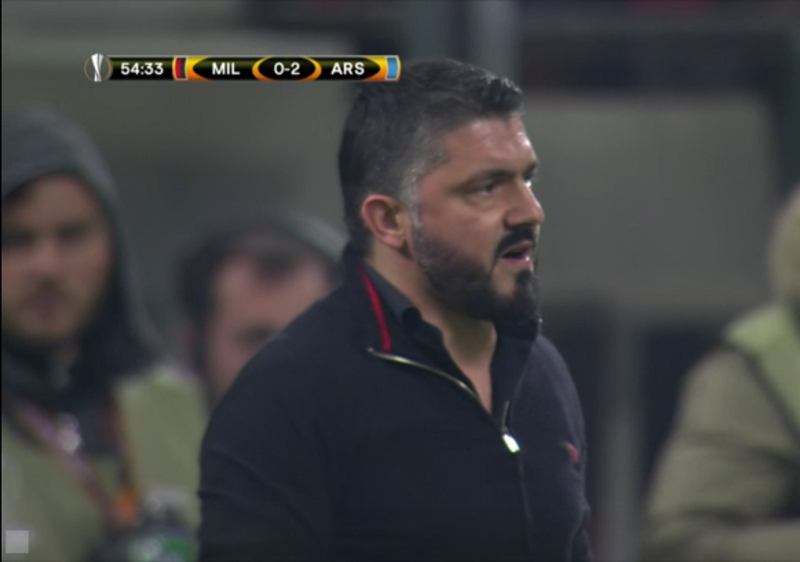 To calm the nerves he had a fag in the changing rooms, right under the nose of Wenger, known to be obsessed with a healthy life style of his employees. Was it a provocation on WS’s part? Does he want to leave? The Pole signed a new 5 year long contract in November 2013 making him one of the best paid goalkeepers in the world. Wenger was happy, we were happy and I am sure Szczesny was delighted. But that was more than a year ago, a long time in the short career of a footballer. This time last year Szczesny’s stats were better than De Gea’s, but this certainly is not the case this season. Even Fabianski and Vito Mannone seem to be outperforming Wojciech. I don’t think I need to say anymore on the subject. I think that Szczesny should leave, don’t you?